Blue Light Treatment for Acne: Safe & Effective? For centuries, people who had acne were told that they needed the sun to “dry out” their skin. While both dryness and sun are enemies of healthy skin, it turns out the old advice to expose acne to the light of day was partially correct. Visible blue light, it turns out, can kill acne. Blue light therapy can kill up to 99.99% of acne bacteria it reaches with multiple treatments, but you can’t achieve long-term blemish-free skin without a complete acne care system. Visible blue light kills acne bacteria. Three blue light treatments kill about 99.99% of acne bacteria that the light reaches, although some acne bacteria live deep in pores. Red light therapy can help shrink the sebaceous glands that produce the oil that clogs pores. Light treatment alone, however, only treats blemishes and pimples after the fact. A complete acne care system is always needed in addition to blue light treatment of acne. Blue light treatment helps you get control over acne, but a complete acne care system helps you keep control over acne. Before getting into how blue light kills acne bacteria, it is helpful to review how killing acne bacteria cures acne. Many people suppose that if they just kill acne bacteria, all their acne problems are over. The fact is, bacterial infection is just part of the problem of acne. Skin pores sit on top of oil-producing sebaceous glands. The sebum produced by these glands keeps the skin flexible, and also helps transport dead skin cells from the bottom and the lining of the pore up to the surface of the skin where they can be rinsed away. Sometimes dead skin cells clump together and clog the pore. Or inflammation of the skin triggers production of excessive amounts of skin oil. When this happens, acne bacteria can be locked inside. The bacteria attempt to “break out” so they can move on to another pore first by consuming excess sebum. They break down skin oils into essential fatty acids that are beneficial to them but harmful to the bacteria. This can keep them in check. But if the problem is the pore is clogged with dead skin, then the bacteria have another way out. 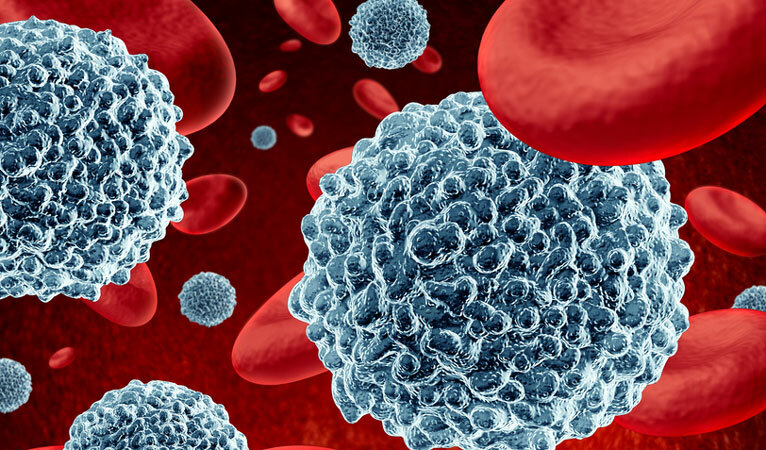 Bacteria release chemicals sensitizing surrounding skin cells to inflammatory chemicals released by the human immune system. The immune system releases histamine and interleukin-8 to attack the bacteria, but winds up attacking the skin. A pimple pops up and provides the bacteria an escape route. Many bacteria are killed by the immune system, but many survive to colonize another pore. Killing bacteria stops them from making skin sensitive to inflammation. But just killing bacteria does nothing to stop production of excess skin oil or to repair the skin. Killing bacteria is always just part of acne skin care. It’s also necessary to follow a skin care routine to keep the skin in balance. Acne bacteria are killed by visible blue light, that is, light you can see, not UV light, of wavelengths between 407 and 420 nanometers. The bacteria have pigments in their protective cell membranes that resonate at those frequencies. These pigments break down the membrane, eventually killing the bacterium. On a Petri dish, three exposures to blue light kill about 99.99% of acne bacteria. In the skin, the kill rate is not as high. That is because blue light cannot reach very far into the skin, and acne in deep pores or in cysts beneath skin are unaffected. Even so, many people who use blue light report noticeable results in as little as a day, because killing bacteria stops inflammation—the immune system stops producing inflammatory chemicals to kill bacteria because the bacteria are already dead. Oddly enough, your immune system plays a big role in the formation of acne. Blue light has an immediate effect on pimples, and a longer-term effect on whiteheads and blackheads. Blue light can keep whiteheads and blackheads from getting worse, although they have to be removed from the skin by other means. The addition of red light to skin treatment, however, treats deeper pores. Red light can travel further into the skin than blue light. It can also generate heat at the level of the sebaceous glands. If red light is not used in excess, it can shrink the glands and reduce sebum production. If so much red light is used that the skin burns, however, the effect is the opposite – greater sebum production. The best way to use light to treat acne is to use a combination of blue light and red light, but making sure the light is not so intense that the skin burns. It is even better to treat the skin with intense pulsed light, short bursts of multicolored light that can heat and shrink the sebum-producing pores. A red and/or blue home light treatment lamp is not going to cause any kind of damage to the skin if it is used as directed. People who assume that if a little light cures acne slowly a lot of light must cure it fast usually suffer serious problems from light therapy. Intense pulse light, however, is riskier. Since it heats glands that lie deeper in the skin, it can cause burns and swelling unless it is used exactly as directed. Never, ever give yourself longer or “extra” light treatments beyond the recommendations of the makers of your lamp. At Home Treatments or in Office Treatments? You can choose to either carry out the treatments at home or you can visit a dermatologist to to have it done in-office. At home treatments are best used to deal with pustules and papules, which are common everyday zits that many people face. Studies show that it’s decently effective at helping clear inflammatory acne and it’s generally safe to use in addition to other treatments. However, more severe cases of acne often won’t respond very well with at home treatments. This includes whiteheads, blackheads, nodules and cysts. Note: Avoid using light therapy together with isotretinoin (Accutane). The advantages of at home treatments include the fact that there is minimal risk of side effects such as your skin peeling or drying, which can often occur with the use of topical prescription products. Also, there is less risk of your skin having an allergic reaction. It is also pain free and can be safely used by pregnant women or women who are breastfeeding. There are many lamps and devices on the market which you can select from, so take your time to find the right product that will work for you. Pick a device that is easy to use, has been well designed and uses advanced technology. Use reviews and before and after photos to your advantage, but don’t completely rely on what you read online either. Ask around and see if you can find personal recommendations or see if your doctor can recommend one. The downside to only carrying out at home treatments though, is you probably will not get the best results. You won’t see the same the same results as you would get from in-office photodynamic therapy that uses photosensitizers. In office treatments have their advantages, too. The first is that they can be used to treat a larger area within a shorter amount of time due to the technology used. They are also more effective in dealing with the acne, especially if maintenance care is also carried out at home, as this will prevent the acne from re-occurring or acting up again. You will get better results if blue light photodynamic therapy is used instead of just blue light therapy. It’s also been shown that using blue light therapy along with red light can have better results than blue light alone. The disadvantage of in office treatments is that you will need several sessions if you are to see any noticeable difference. Given that you have to pay for each session, the costs can easily add up and make it quite expensive to get treatment. You also need to see the practitioner multiple times every few weeks, so if you have a busy schedule, it may be hard for you to keep all your appointments. In addition, the long term effects of this treatment method are unknown; however, the treatment has a safe record history. Each session will last from 15 minutes to 30 minutes depending on the surface area to be covered. A source of light will be held close to your face and you’ll likely be given protective eye glasses to put on. Sometimes a topical solution may be used, such as Levulan, anywhere from 15 minutes to an hour before the procedure starts. This will help to enhance the results of the treatment. It will also help reduce the amount of time the blue light has to be exposed to your skin, down to around eight to ten minutes. Treatment sessions are normally spaced out after every week or two weeks to give ample time for the full effects of the treatment to appear. You should be able to see noticeable results on your face after two to four weeks. Some of the side effects you might get from the treatment include swelling, stinging, redness and burning. In some cases, some patients may react to the topical applications, though this rarely happens. On average, it costs $ 40 to undergo a single treatment session. Comprehensive packages that will cover the entire treatments sessions for multiple weeks will likely run $1, 000 to $1, 500. 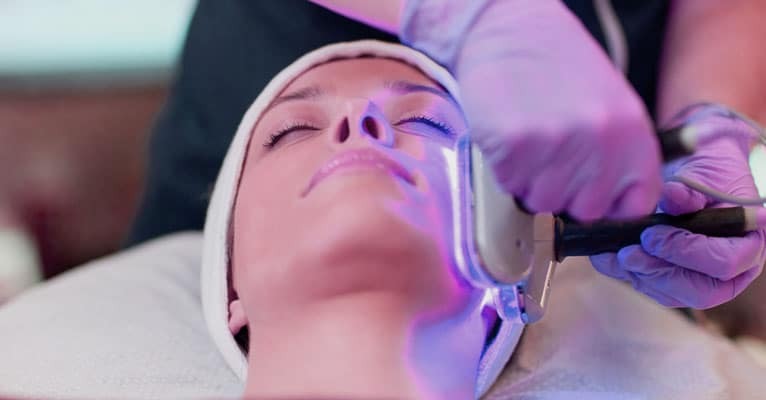 Blue light therapy can kill acne bacteria in your pores, and red light therapy can shrink sebaceous glands beneath your pores, but you can’t achieve lastingly blemish-free skin without careful attention to cleansing, moisturizing, and exfoliation. It is essential to use the right cleansers in the right way to keep oil from accumulating on your skin. Harsh detergent cleansers, however, can actually increase the production of oil in your skin. Though you’ll probably see results, it’s not a miracle. A good, daily skin care routine is still vital for long term results. It is essential to keep skin moist to keep it flexible so pores stay open. Even oily skin can dry out, especially around the eyes. You will also maintain a healthier skin color if you keep your skin moist. Oil and bacteria are not the only things that can block your pores. Flakes of dead skin can tighten your skin and keep pores from emptying, too. Exfoliation can help keep your skin loose and free of fine lines and wrinkles as well as blemishes, but you have to use the right product for your skin, at the right concentration and at the right pH. Finding the right products and using them in the right way is not easy to do, unless you use an acne treatment system, like Exposed Skin Care, which comes with a money-back guarantee. A Unique Acne Treatment for Black Skin?